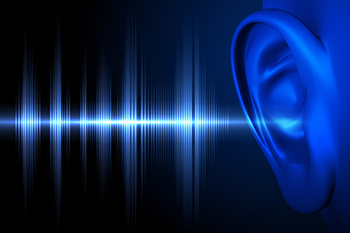 Many of today’s hearing aids use narrow directionality to help block out external sounds. This leads to an under-stimulation of the brain and ultimately to less enjoyable and effective social interactions. Our OPN hearing aid in Lancaster, Lititz, and Willow Street, PA, is able to process sound more efficiently. The result is a clear sound that delivers a rich acoustic experience. This full soundscape empowers your brain to choose what it wants to focus on, improving speech clarity while simultaneously reducing the amount of required mental effort. Whenever there are missing sounds, your brain tries to fill the gap – an often difficult and exhausting process. Good hearing isn’t simply a question of making sounds loud enough. It’s about helping your brain understand the sounds you hear. That’s why our team at A&E Audiology & Hearing Aid Center has moved from an “ear first” to a “brain first” approach to hearing. How Does the Technology for Our Hearing Aid in Lancaster, Lititz, & Willow Street Work? Just like any great partner, we look forward to helping you and your family for generations. From ear plugs for hearing protection and preservation, to hearing aids and follow-up hearing care, to education and outreach programs, we are your full-service audiology practice in Central Pennsylvania.